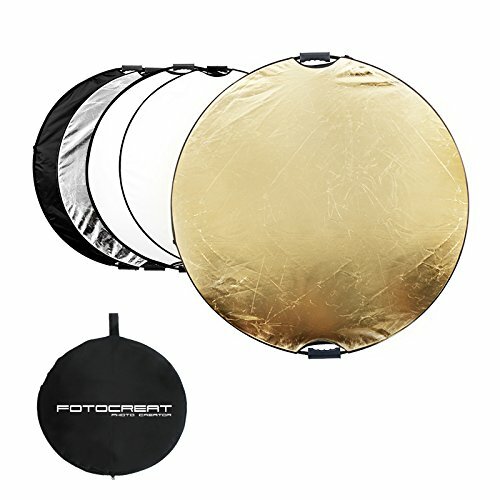 Fotocreat 5 in 1 reflector will be your wise choice when you shooting in the studio and outdoors. Five colors can meet your demand:Gold--warm up the picture; Silver--brighten the picture; White--bounce light into shadows; Black:--block out unwanted light; Translucent-- soften light, often used overhead. Based on operating practice in the field of photographic equipment over ten years, our products are high-quality, durable and professional. We will continue to improve the technique and upgrade the materials for our customers. If you have any questions about this product by FOTOCREAT, contact us by completing and submitting the form below. If you are looking for a specif part number, please include it with your message.